These start from a box, but it's a great add-on to make them a bit more special. Make brownies according to box and pour into 9x13 pan. Put it in the oven at 350 for about 20 minutes. 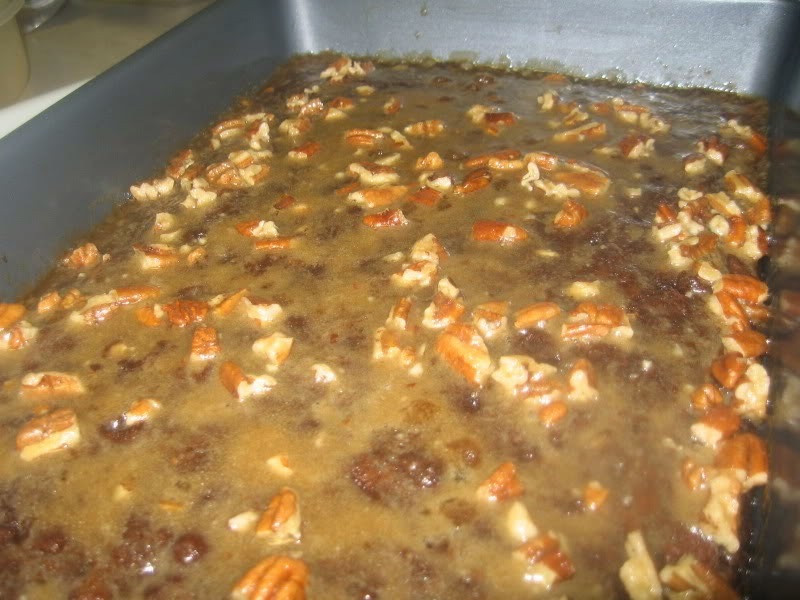 Now, combine brown sugar, butter and remaining pecans in small bowl, and pour it over half-cooked batter. Bake the whole thing for another 15 minutes and you're done!